A unique equestrian centre that enhances lives through horses. Stepney Bank Stables provide high quality riding lessons to both children and adults to help grow their confidence, develop their resilience and gain qualifications and experience that will enrich their lives. Urban River was entrusted with the task of creating a new website that enables riders to create personalised accounts and book lessons online. In addition the website needed to integrate into Stepney Bank Stables internal accounting system. 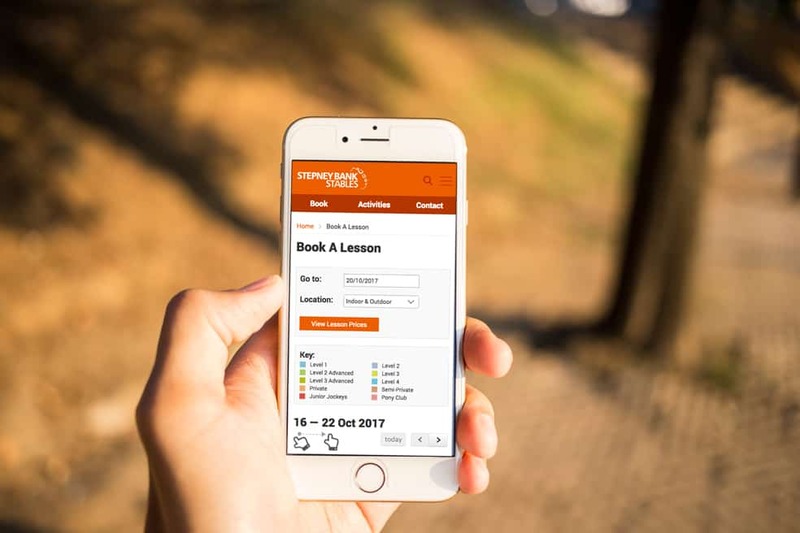 We created a bespoke booking system that allows members to create an account and see the availability of lessons in a calendar format. The user can book and purchase online through existing credit on their account or by card payment. The member has their own personalised dashboard. This allows them to have flexibility to edit their profile, top up and upgrade their account. The backend of the system can be fully accessed through Stepney themselves and talks to their internal accounting system. This allows Stepney to have complete control and flexibility. For example they have the ability to give a free lesson to a particular rider. Stepney also wanted to have the ability to run in depth reports. So we created the functionality for Stepney to run reports on significant information that provides them with crucial statistics. We positioned Stepney Bank Stables as a centre of unique equestrian activities, encouraging a customer to explore what is on offer and see the benefits of becoming a member. 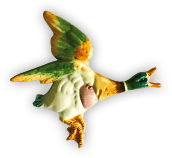 The website speaks to the target market in the right tone and builds trust and value, encouraging visitors clearly to the next step. We created an improved and effective user experience, clean design and in depth secure functionality. 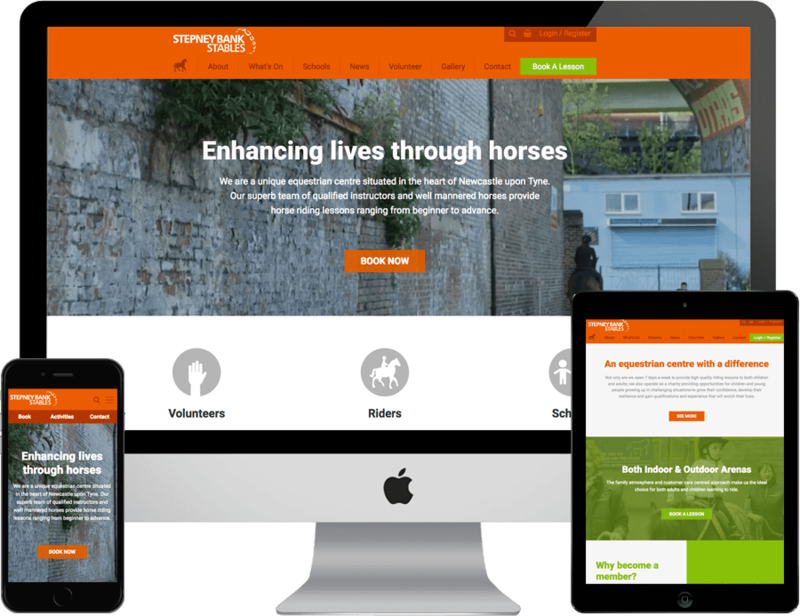 The Stepney Bank Stables website has an effective user experience, clean design and in depth secure functionality.